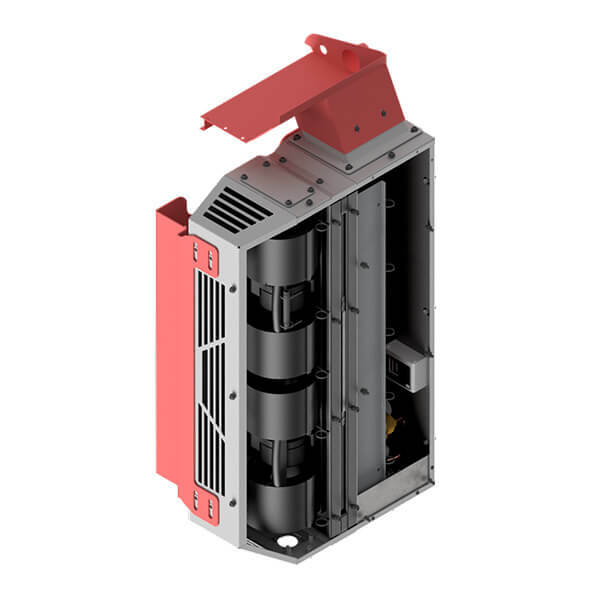 A modular bolt-on power pack with a 30kW 4-Cylinder Deutz engine fitted with a 28VDC 400A alternator. 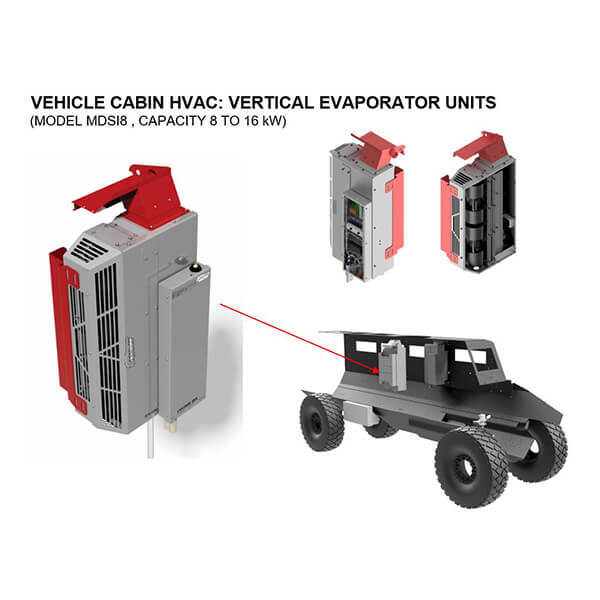 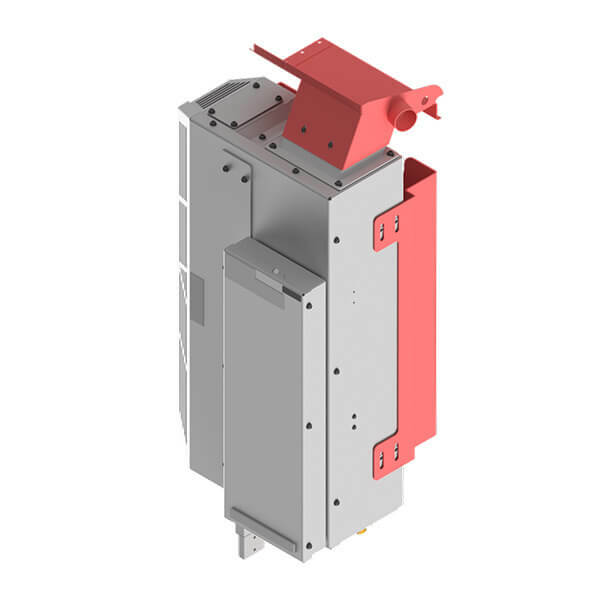 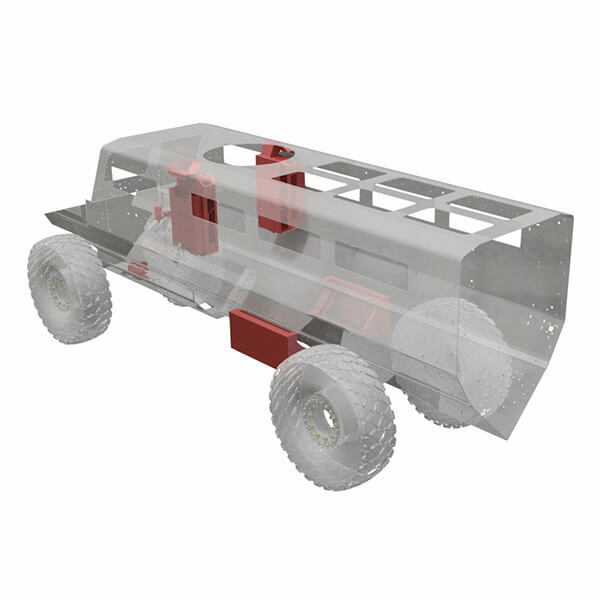 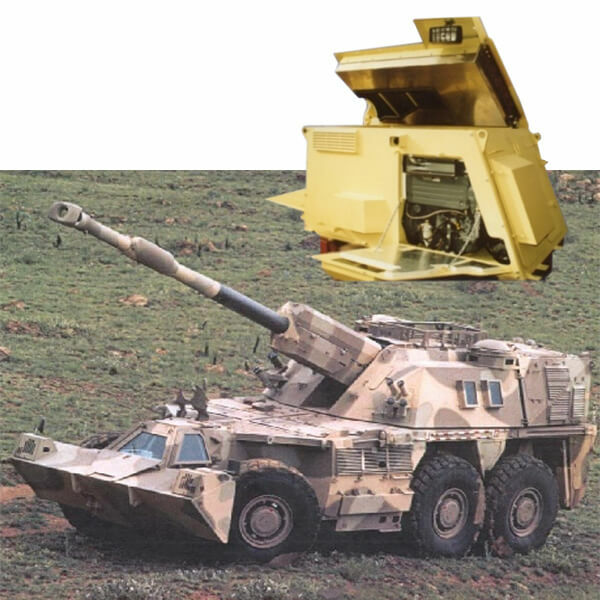 To supply 28VDC, 400A to charge the 6 TPU and vehicle batteries or supply the total electrical requirement of the turret including the DC Gun Control Motor, WMS system and supply aircon electric power without starting the vehicle main engine. 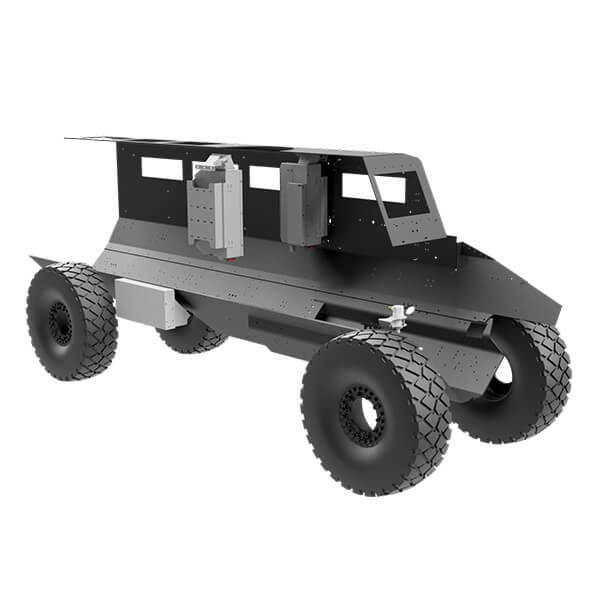 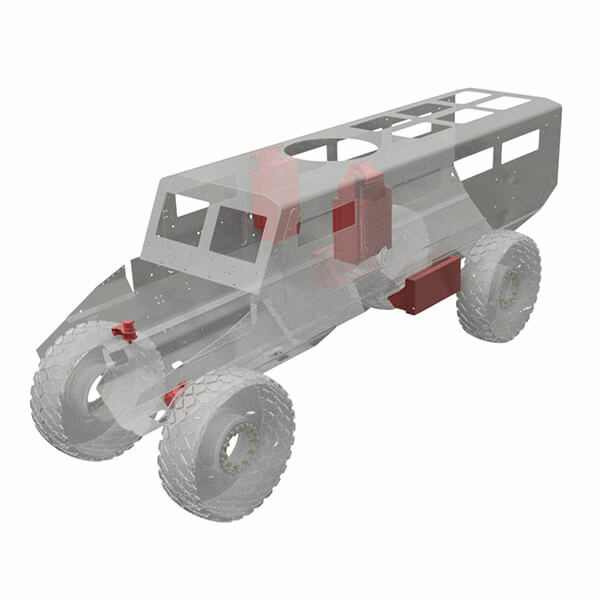 The TPU is fully automated with own electric start, and onboard fuel tank. 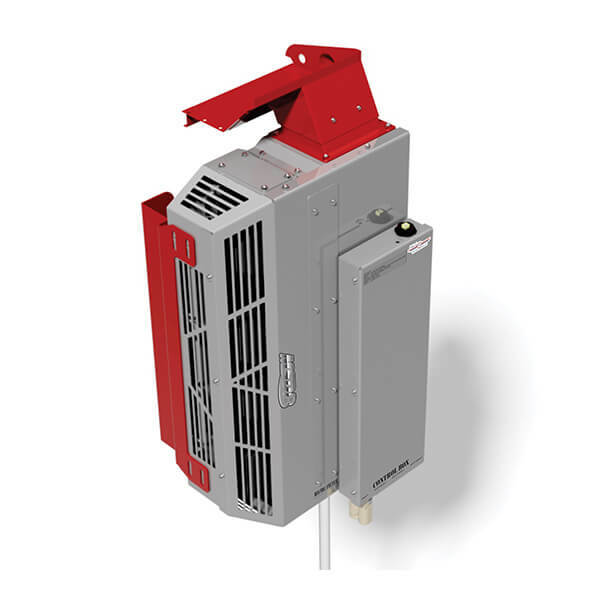 The air conditioning system has two belt driven 9kW compressors in tandem with an integrated 20 litre cold water chiller. 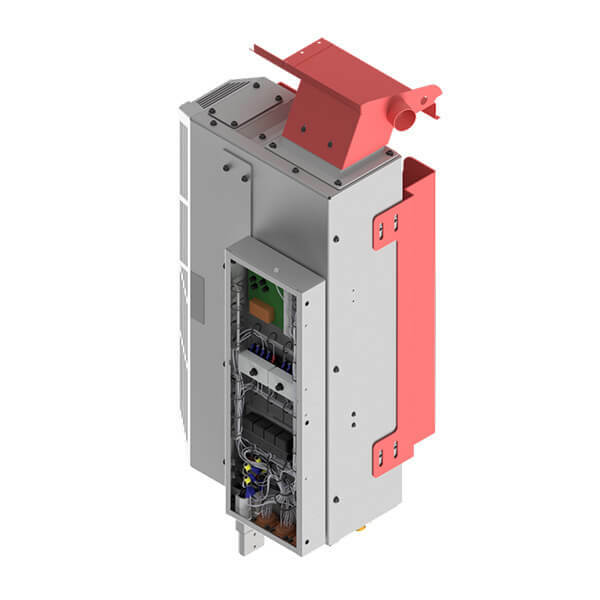 The system also has a CBRN filtration module with servo valve remote switch over.